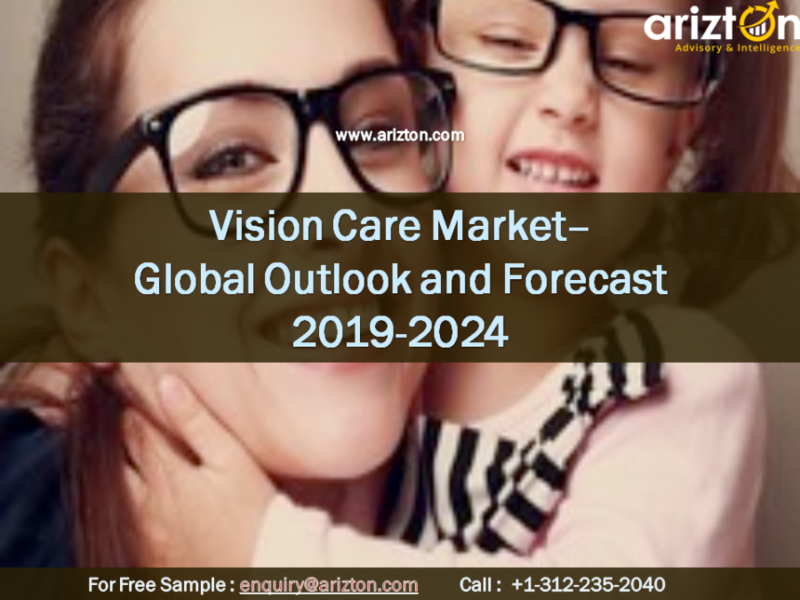 CHICAGO, IL, UNITED STATES, April 10, 2019 /EINPresswire.com/ -- According to Arizton’s recent research report, the global vision care market is expected to reach revenues of over $75 billion by 2024, growing at a CAGR of around 4% during 2018−2024. 1. An estimated $7 billion vision care products, especially eyeglasses and contact lenses, were sold online in 2018. Therefore, vendors and distributors are rapidly increasing their online presence, offering a wide range of designs and product categories. 2. As the developed market is reaching its maturity stage, APAC is expected to post an incremental growth of $6.6 billion, with India growing at the highest CAGR of around 6.6%. The country is likely to post around $1.6 billion incremental growth by the end of the forecast year. 3. The global contact lenses market is growing at a high CAGR of around 6% and is likely to reach around $12 billion by 2024. 4. The development of smart contact lenses, which diagnose, monitor, and treat a wide range of vision disorders, holds tremendous potential for market growth. These lenses are manufactured from advanced biosensors and microfabrication technology. Sensimed is the first company to launch a smart contact lens into the market. 5. As the market is witnessing high consolidation, the market competitiveness is likely to intensify with key vendors focusing on expanding geographical outreach and increasing product portfolio. The Cooper Companies, Essilor, HOYA, Luxottica, J&J, and Bausch & Lomb are major companies that actively indulging in mergers and acquisitions. 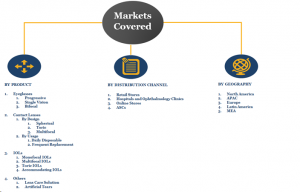 •	Market Segmentation –A detailed analysis by product types, distribution channel types, and geographies. •	Competitive Landscape – Profile of 6 key vendors and 21 other vendors. 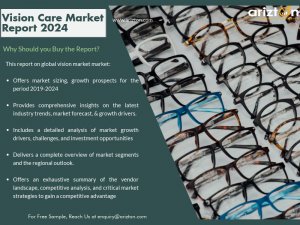 •	The eyeglasses segment is the fastest growing one, and the segment held more than 70% of market share in 2018. •	The growth of IOLs segment is mainly fueled by the need to improve the vision quality and reduce the risk of blindness. With the growing aging population, the need for quality vision care is expanding and evolving with the availability of a diverse range of glass lens, contact lenses, and IOLs for several vision impairments. The shrinking usage cycles of eyeglasses and the growing preference for disposable contact lenses will have a positive influence on the market. Explore our Healthcare & Lifesciences profile to know more about the industry.